However, in NYC, there are no such partitions in the subway stations. The platforms are all open to the tracks, offering no protection for pedestrians who may trip and fall. 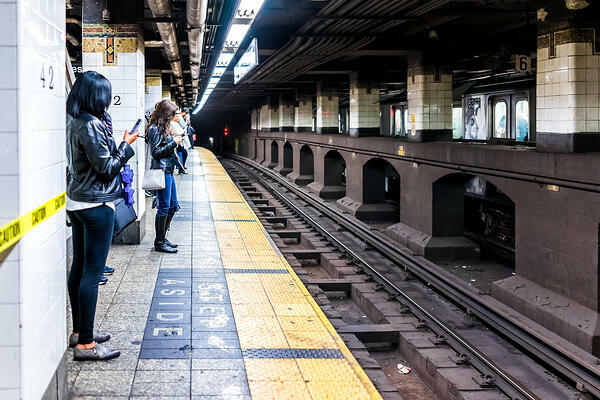 According to the New York Times, pedestrians on NYC subway tracks are a daily occurrence. There are many reasons why people end up on the tracks. Some people are retrieving items they dropped, like wallets or smartphones. Others are intoxicated or disoriented. Sadly, some people are making suicide attempts. Occasionally, someone is pushed or falls during a fight. Train operators in NYC have a duty to keep passengers and pedestrians safe. Regardless of the reason a person is on the track, the driver has an obligation to notice the pedestrian and stop the train. In 2009, we successfully won a $3,595,000 verdict for a subway accident victim. Our client stumbled onto the tracks after watching a hockey game with friends. He was struck by a train and subsequently lost one of his feet. The fact that our client was intoxicated did not make the conductor any less negligent. The conductor had time to stop the subway car but did not. If you or a loved one were injured after falling onto the NYC subway tracks, you may be entitled to compensation. You might be hesitant to pursue legal action if you were intoxicated or landed on the tracks of your own accord, but please keep in mind that NYC subway conductors must be aware of all people and attempt to stop the train if there is any object on the tracks. Please contact us for a free consultation to discuss your accident. If you would like to read more about our victory in 2009 please click the link here.